The industry’s first mobile next generation preflight briefing. 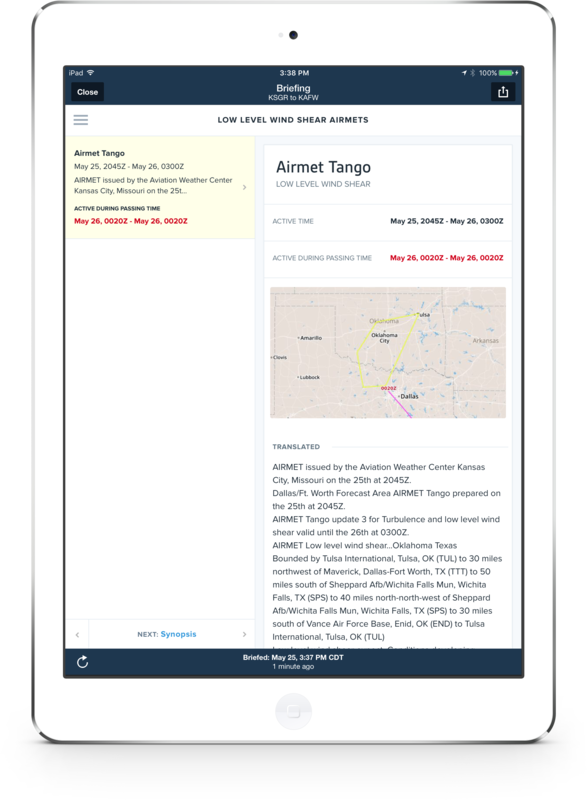 ForeFlight's Graphical Briefing transforms the standard text briefing information and delivers it in a visually elegant design for better readability. Make better go/no-go decisions when you better visualize weather conditions. 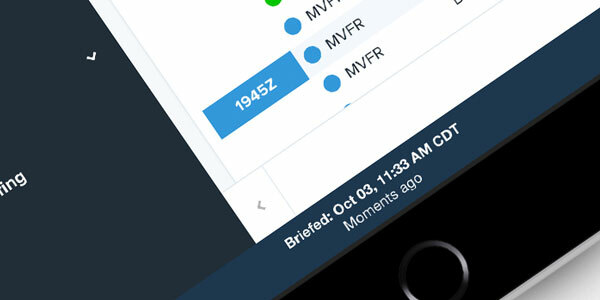 ForeFlight's Graphical Briefing is presented in clearly organized sections, making it simple to tap through each element of the briefing in a logical sequence. Translated and raw text options are available, as well as full-color graphics, which help you better understand and consume briefing information. 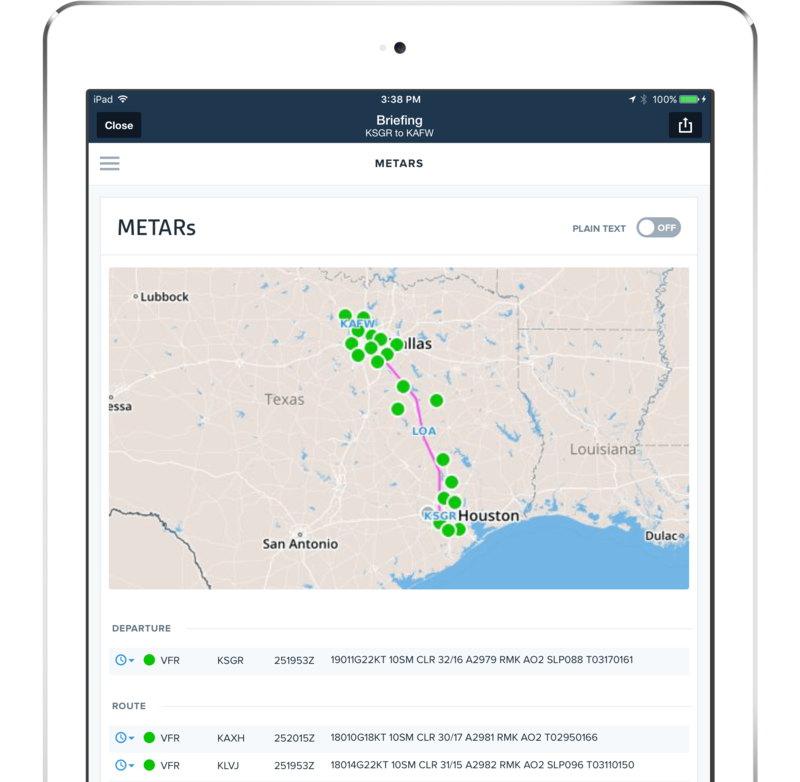 ForeFlight's Graphical Briefing delivers the picture of meteorological and aeronautical information you need to minimize your exposure to adverse weather. ForeFlight Graphical Briefing content is derived from approved government sources. Adverse conditions, synopsis, current conditions, enroute and destination forecasts, NOTAMs, and more are included. ForeFlight Graphical Briefing syncs to all the devices on your account. When you retrieve a briefing on your iPad, iPhone, or on the web, it is instantly available on your other signed-in devices. The Briefing is stored locally on your mobile device so you can view it offline while inflight. 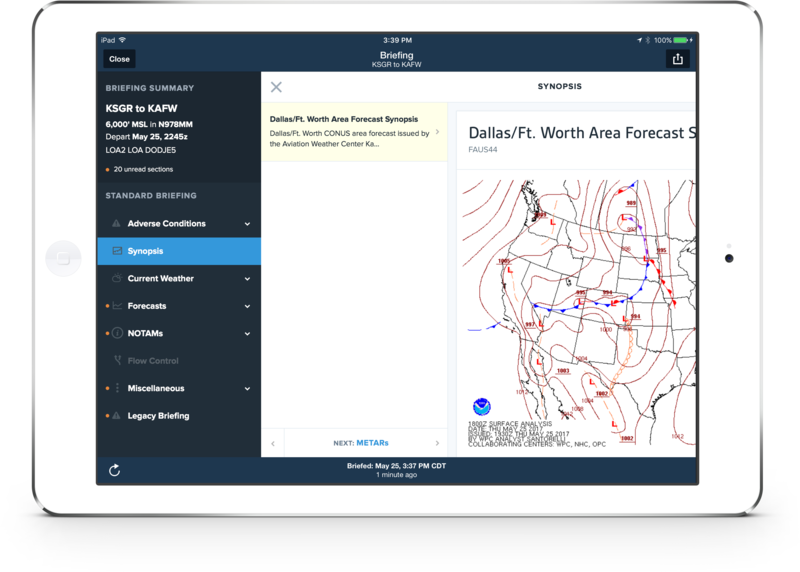 ForeFlight Briefings are timestamped and stored in the app on your iPad and iPhone, and in the ForeFlight cloud, to record that you obtained weather and pertinent NOTAMs in compliant manner with 14 CFR 91.103(a) preflight action. 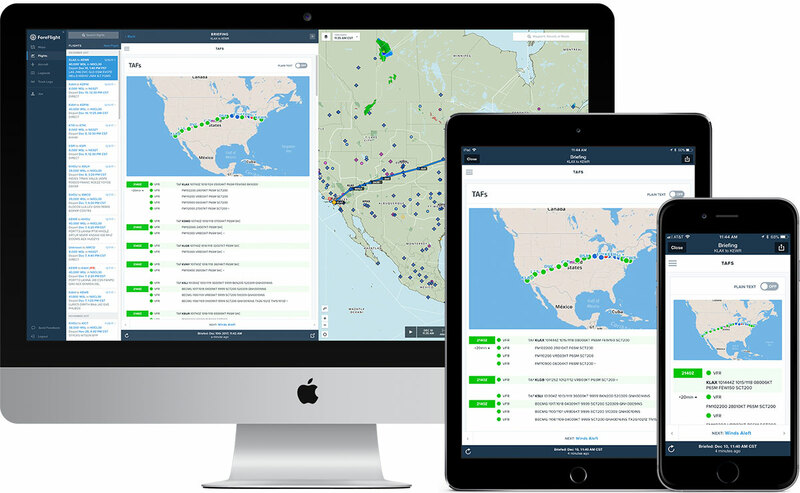 ForeFlight co-founder and CEO Tyson Weihs introduces the new graphical preflight briefing. This how-to video walks you through all the details of the new graphical briefing.